In the process of waves propagation in geological environment they are influenced not only by the hydrocarbon deposits, but many other contrasting geological objects as well, which resulting impact is similar to that of the oil and gas pools. Gradient Company uses numerical modeling to study the behavior of microseisms in the complex geological environments. 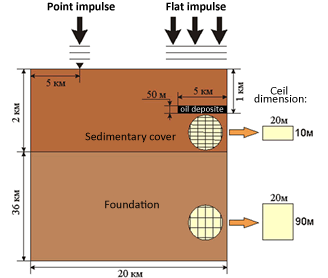 Given the available seismic survey data on the area, seismic-mechanical model of the geologic section is compiled which is then subjected to the numerical experiments on the microseismic waves distribution. 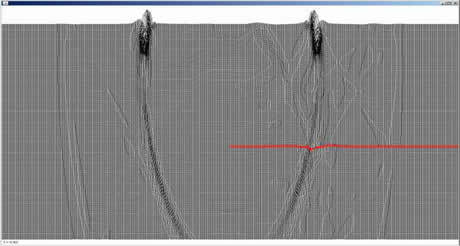 Synthetic seismic gathers are calculated assuming both absence of the oil saturation in the section and the presence of oil saturation in one or more target horizons. Acquired synthetic gathers are compared to field data using different statistical techniques which allows determining the most likely option of availability and location of hydrocarbon accumulations. 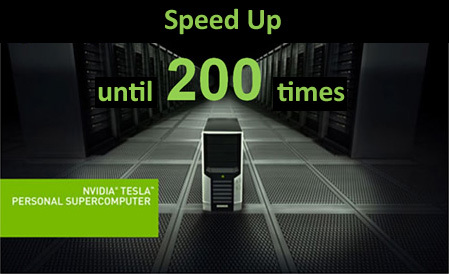 Numerical modeling is performed on a high-performance computer based on the massively parallel TESLA processor coupled with CUDA 2.1 programming environment from nVidia. Application of these solutions allows calculating multi-variant models of the geological environment in the resolutions of up to 1m in 2D version and up to 10m in 3D. Calculations are carried out 30-200 times faster as compared to the single-core 3GHZ Intel processor.